A much younger Lexie sits pretty. In today’s Love Story, learn how my dog Lexie and I created our own furever family. Take part in our Love Story contest, and tell us how you met your pet. If you do, we’ll send you an Our Furever Family mug! Lexie held my heart before I even met her. At the time, I lived with a woman who didn’t want a dog. When she finally gave in, she said I could get a pup as long as I researched it and didn’t rush into the decision. So off to the bookstore I went, buying several books about dog adoption and breed temperaments. I had no doubt I would find the right dog. It was simply a matter of when. I started visiting five Humane Societies a week: Dearborn, Rochester Hills, Ann Arbor, Westland and Detroit. After a while, the workers got to know me. I started to bring with me bundles of newspapers that they could use for the dog pens. During my career as a journalist, I had started up more than one “Pet of the Week” feature, so I was prepared. I knew I couldn’t just go in with my heart all exposed. So I was tough, casually observing the dogs one by one, doing my best to remain detached. The staff at Huron Valley Humane Society knew me well, as I had been making weekly visits for more than two months. Because of this, they waved me right through to the quarantined area, usually reserved for staff only. Resting in the Smoky Mountains. When I saw her, she was laying on a raised platform in what I would call froggy position. My heart melted. I grabbed her sheet (marked with her name: Lex Luther) and ran it to the processing desk. On our getting-to-know-you walk out back, I made one phone call. “I found her,” I breathlessly said. Lex would come home with me two days later. 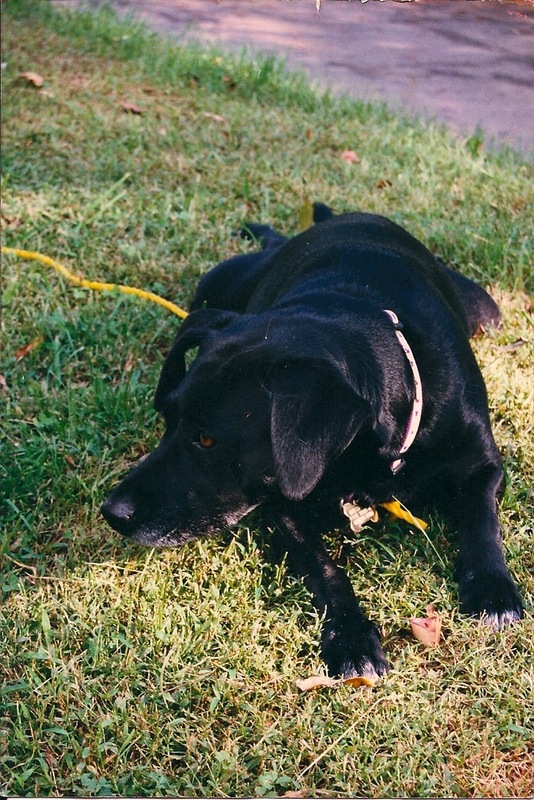 Like many dogs adopted from a shelter, Lex came with limited background information. We found out her previous owners didn’t believe in vaccinations, so she had to be quickly brought up to date. The couple was moving and surrendered Lex because they couldn’t bring her with them. Also, the shelter workers told me, she was crated at least 10 hours a day. I was told since she was used to that, I should purchase a crate, and keep her there overnight and when we leave the house. When we got her home, she casually greeted the crate, and easily went into it. At bedtime, she curled up in the crate, we closed the door and she went to sleep. In the morning, we found a small pile of bedding that had come out of the crate. Lex was awake, sitting in a pile of fabric confetti. One the second night, we got the same result. So on the third night, I placed a blanket in the crate, let her climb in but I didn’t close the door. I left it open and went to bed. In the morning, we found her curled up in a ball on top of the blanket. She had dragged it out in front of the crate. Nothing was damaged. She never slept in the crate again. We were extremely lucky, in that Lex is not a destructive dog. Eat a couch? Never. Gobbling loaves of bread is more her speed. Thinking back almost 13 years ago, I hardly feel like the same person. I’m in a new relationship, a new job. So much of my life is different. 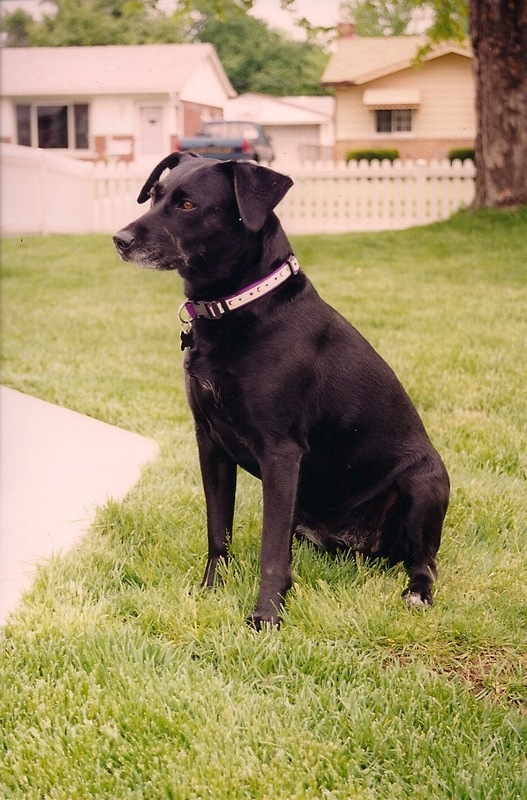 And still, this little black dog has remained a constant. She’s traveled to Miami with me. Camped at the base of a waterfall in North Carolina. Hunted for morel mushrooms in Cadillac. Lexie still tries to hop up on me when she’s excited, even though her hind legs are weak and can barely support her. She’s a world class snuggler, whether it’s with me sneaking her on the bed, her sliding under Matt’s legs on the couch, or forming a massive ball of fur while cuddling with Charlie. Through the years we’ve formed an impenetrable bond. I couldn’t imagine life without her, although I will have to walk that road soon. Without a doubt, she’s my best friend. Our Furever Family wants to hear your Love Story, whether it was through adoption, an accidental meeting or another way of finding each other. How did you fall in love? Learn more about the Love Story contest. 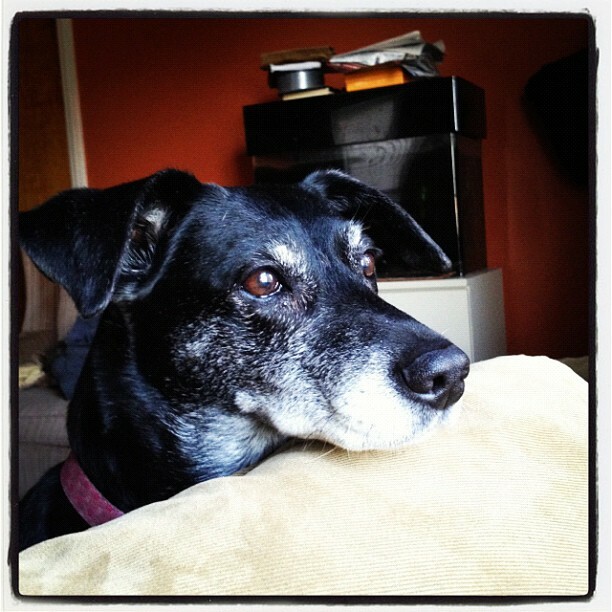 This entry was posted in Adoption, Love Story contest, Woof! and tagged adopt, crate, dog, humane society, love story, pets, puppy, rescue by ourfureverfamily. Bookmark the permalink. what a wonderful way to say: i love you…thanks for this post!!!! Thanks Easy. Lex is my number one buddy. It was the easiest essay to write. That is fantatsic and brought a lump to my throat!! I hate it when people chop onions in the same I am. This made me tear up. We should all feel so lucky to feel this sort of love! You write beautifully, and this made me cry. I hope you have many, many more years together. Lexie is the best girl ever!